We specialize in selling registered Black Angus cattle plus Tennessee Walking Horses. Put your trust in the market leader for Registered Black Angus and Tennessee Walking Horses. 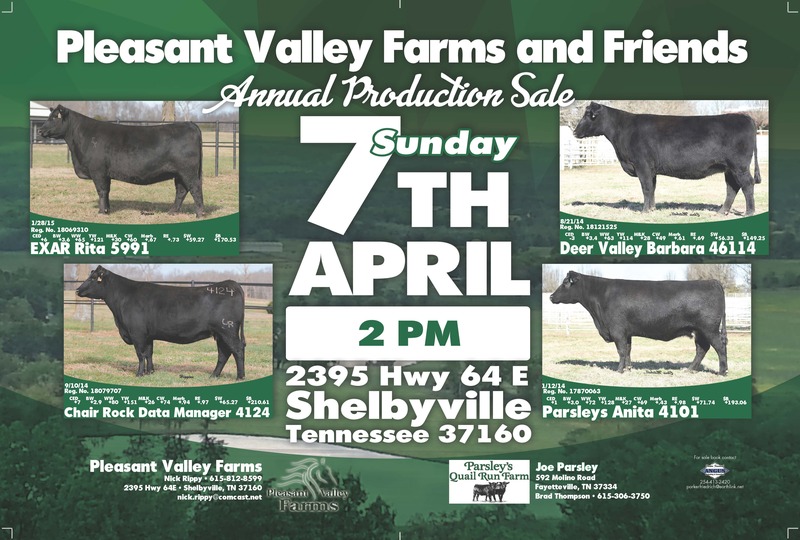 Sales held at one of the top facilities in the country, Pleasant Valley Farms Sales Arena. Located on Hwy 64 E (Wartrace Pike) at 2395 Hwy 64E, Shelbyville, TN. 37160.